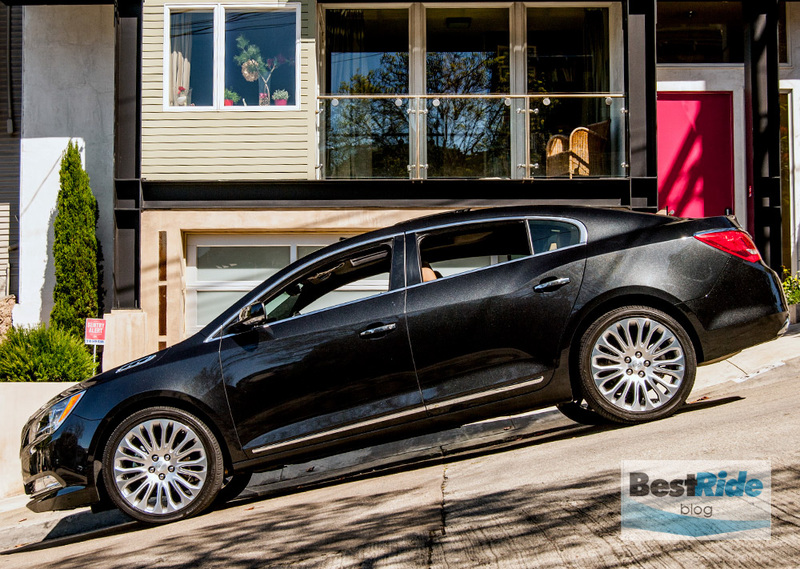 The Buick LaCrosse does its best in many ways to grab your attention, but the thing we liked the most is how smoothly it cruised. 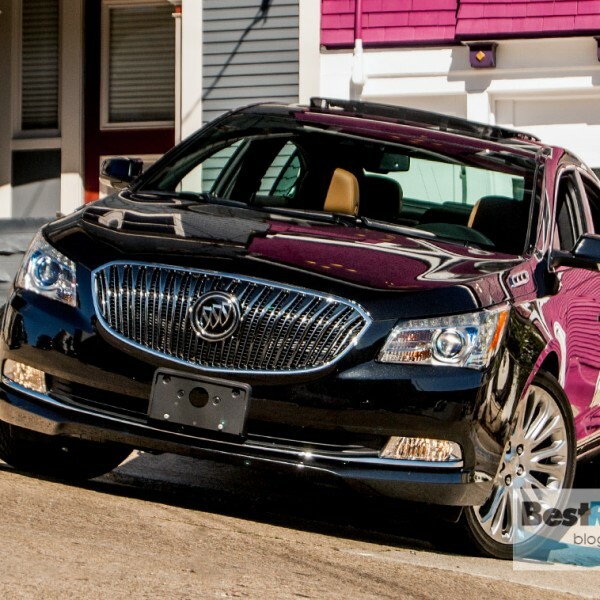 The LaCrosse is Buick’s big sedan, and it shares its Epsilon II platform with the Chevrolet Impala and Cadillac XTS. Base prices range from $27,060 for the Impala LS to $44,600 for the base XTS. 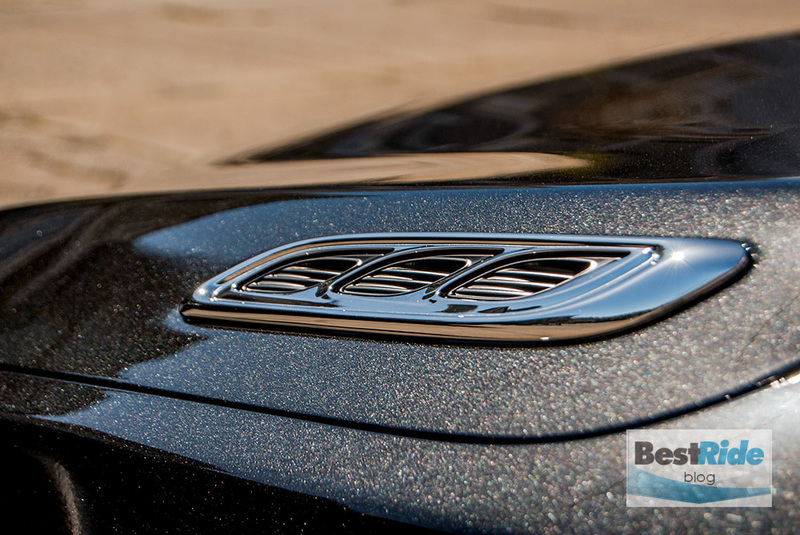 Buick bridges the gap with its $33,135 entry point, but the test car’s $46K as-tested tab shows that the options give a lot of room to grow. All three share the Epsilon II’s slightly hitched proportions, with the front wheel awkwardly pushed back toward the A-pillar. Every time I see one, I want to yank those wheels toward the front bumper to even things out. That said, the LaCrosse does wear its 20-inch wheels well. 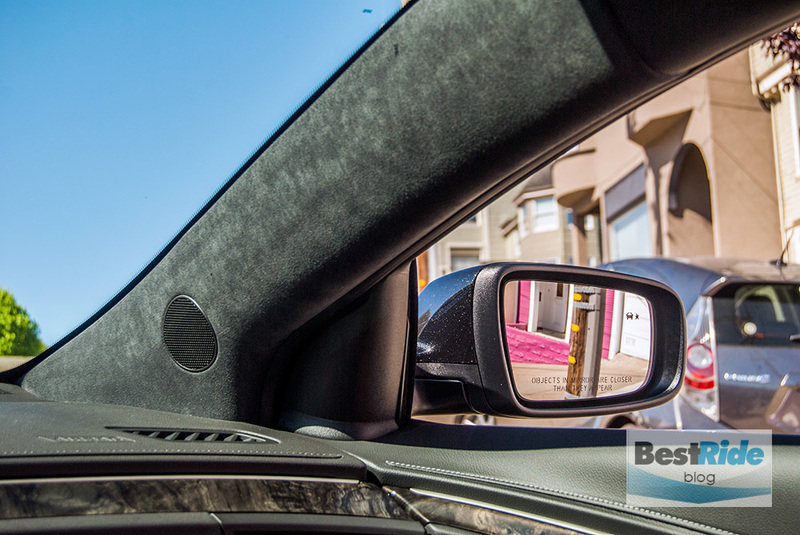 Speaking of the A-pillar: its flocked fabric presents well, but the pillar is thick enough to hide pedestrians in crosswalks. 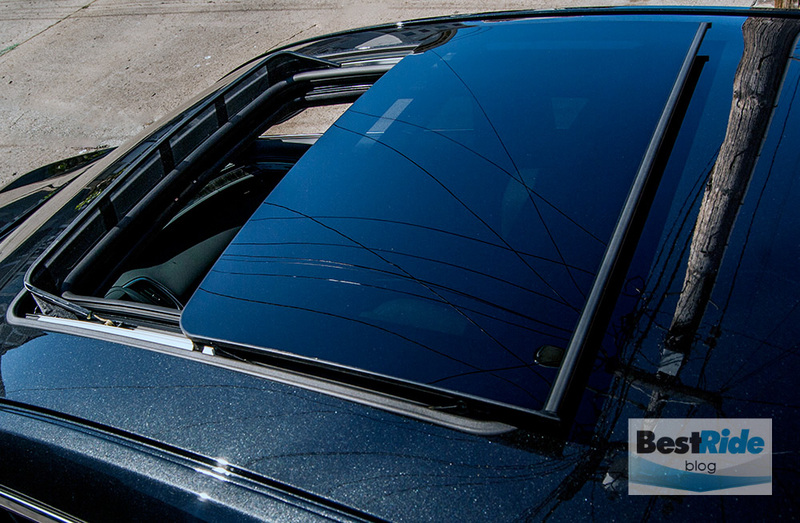 You definitely feel protected – the LaCrosse’s structure looks ample enough to survive an inverted drop on its roof from high above – but the blind spots it creates add a dose of hesitancy to city driving. The LaCrosse is available in seven trim levels – two base, two with leather and three with Premium package features. All come with standard 4G LTE WiFi connectivity. 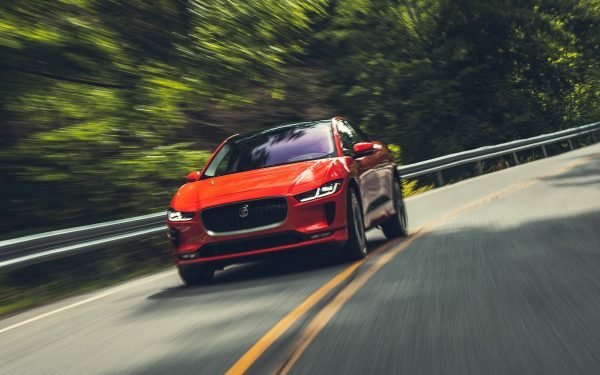 Also offered are the Driver Confidence Packages I and II that debuted last year, which encapsulate a variety of lane-departure warnings, cross-traffic sensors and automatic braking. 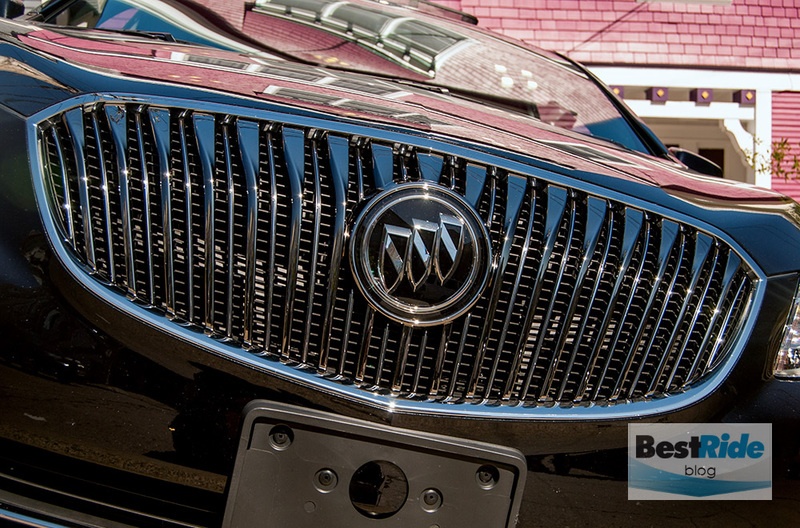 Regrettably, Buick continues the industry practice of excluding the base trims from Driver Confidence Package availability. 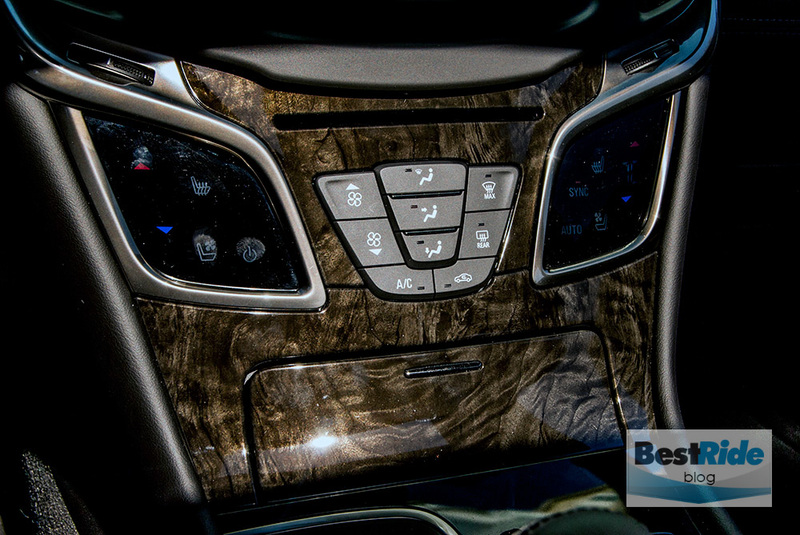 You’d have to step up to the $35,610 leather trim to be able to order them. 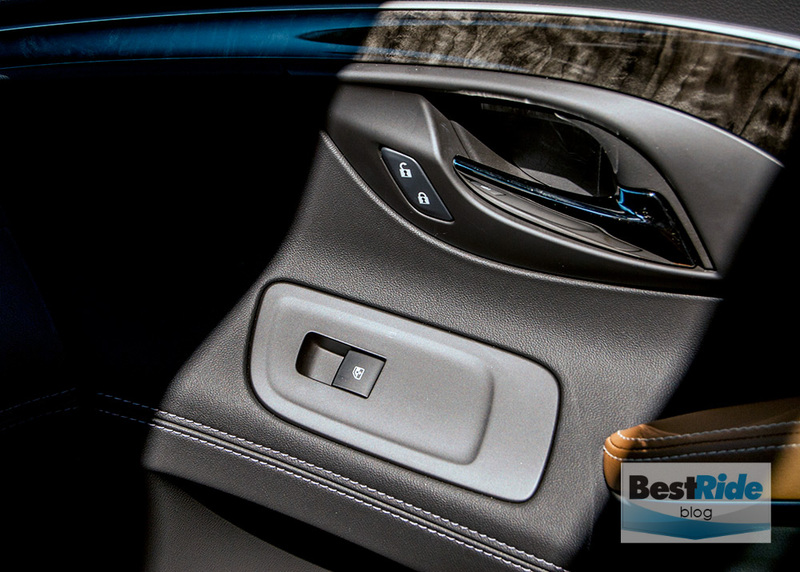 The LaCrosse’s styling is clearly differentiated from its Epsilon II siblings with traditional Buick details, like these ventiports. …and the test car’s fog lights came with the Driver Confidence Package I. They seemed helpful in literally lighting up the massive front end. Two engines are offered, a four-cylinder and a V6. 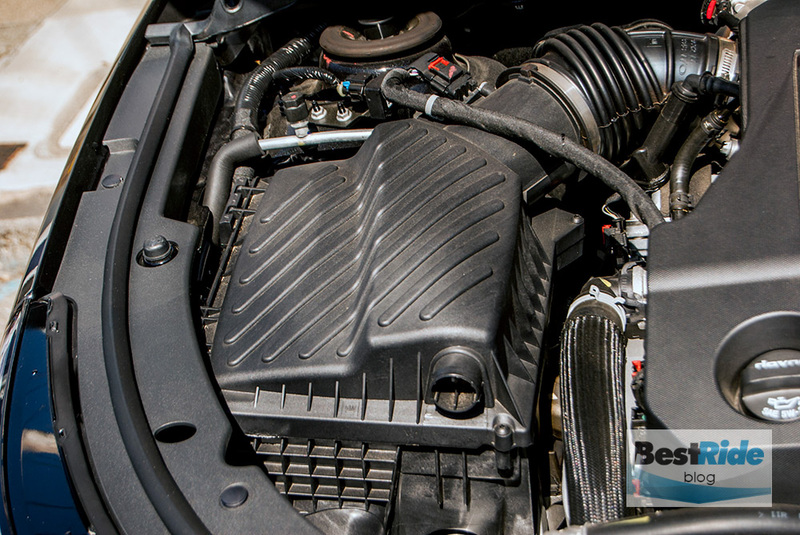 The four displaces 2.4 liters and is efficiency-aided by eAssist that adds 15 horsepower with a mild hybrid system. Its 182 horsepower would have its hands full with the LaCrosse’s 3,800-pound base weight, and its EPA overall rating of 29 mpg is much lower than the Toyota Avalon Hybrid‘s 40 mpg rating. 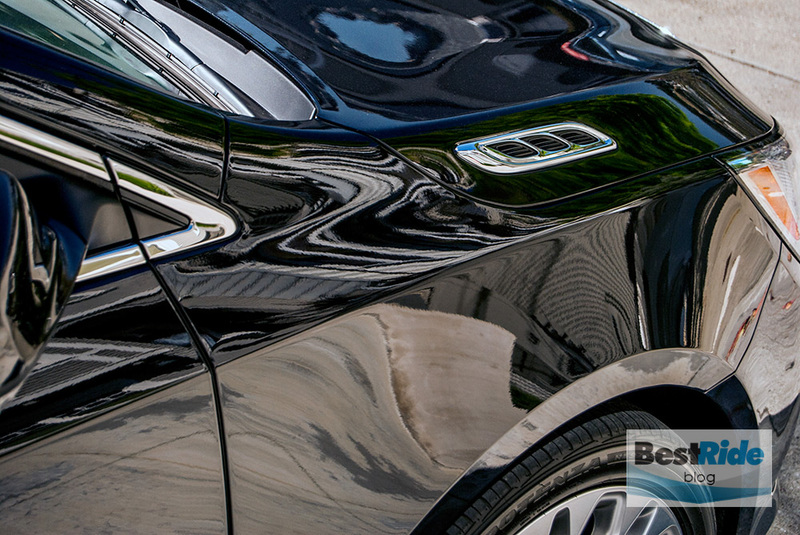 On the other hand, you’d save about $3K versus the cheapest Avalon Hybrid for the GM system. 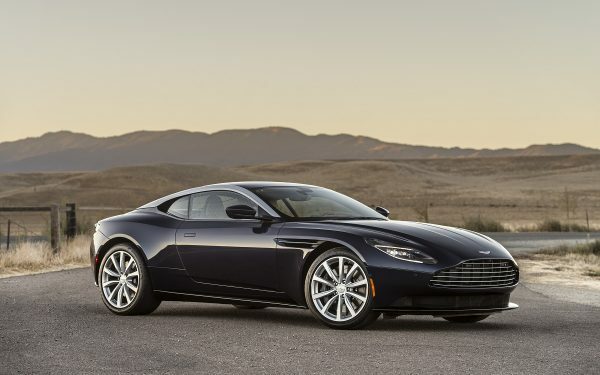 The 3.6-liter V6 is available on all LaCrosses; it churns out 304 horsepower and returned 21 mpg for the EPA. 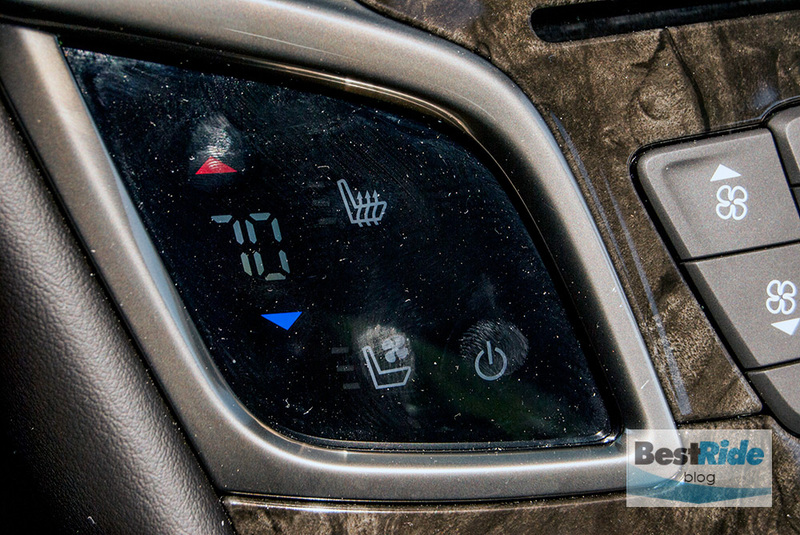 Throttle tip-in is pleasingly direct, and passing is done quickly, with sharp transmission kickdowns. 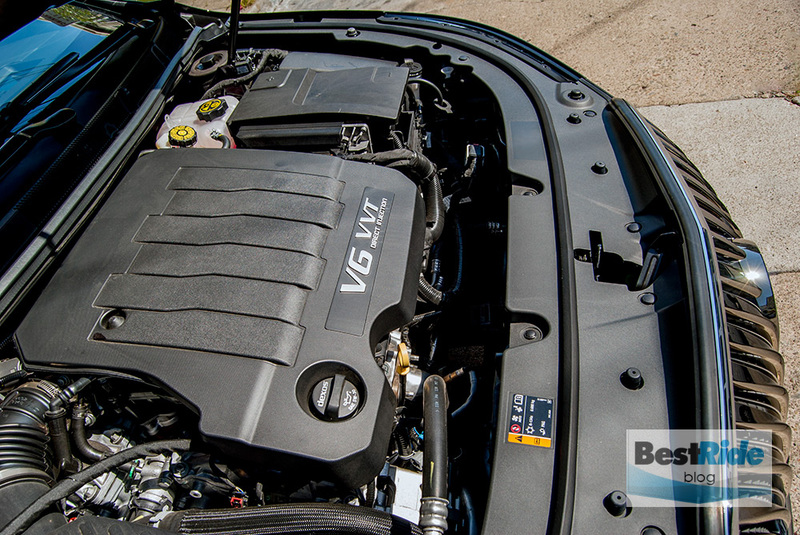 It doesn’t dare you to go faster, but this V6 emits a contented burble when you step into it. One quirk we noticed around town was that a partial throttle application, followed by letting up and going in for more – say, when you’re squeezing around a double-parked delivery truck – can have the transmission thunking into gear with a note of crudeness. Not a deal-breaker, but it happened a few times. By the way, the different Epsilon II platform-mates offer other choices of engines. All have the V6, but Chevy has a more powerful four-cylinder (196 hp, 25 mpg), and the XTS offers a twin-turbo version of the V6 (410 hp, 19 mpg). So there are many choices to help fine-tune your emphasis on power or economy. An interesting underhood detail were these luridly contoured airbox strakes. 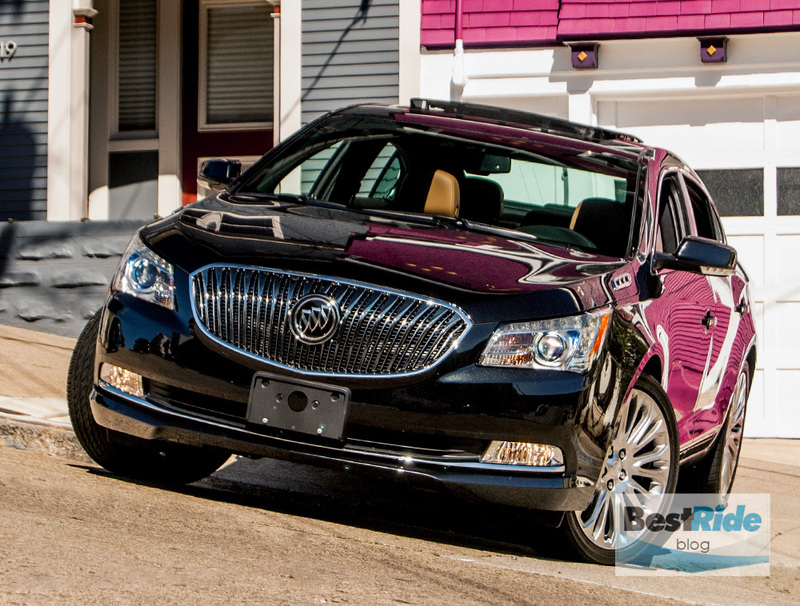 The LaCrosse struck a likely balance of ride comfort and handling prowess in this post-marshmallow phase of Buick’s evolution. On the plus side was a minimum of slop in the steering or brakes, and the suspension added confidence with a focus on staying level. In the minus category was a floorpan that sometimes wiggled with impacts from the front suspension, along with a distance of feel between the steering wheel and the road. 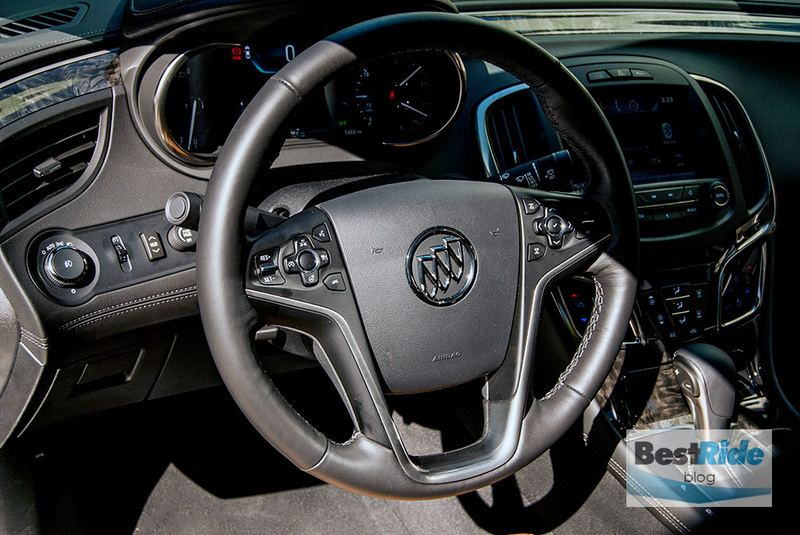 Not so much that you’d drift off to sleep as in previous Buicks, but it’s enough that you’d wish for just a little more activity through the wheel’s thick rim. 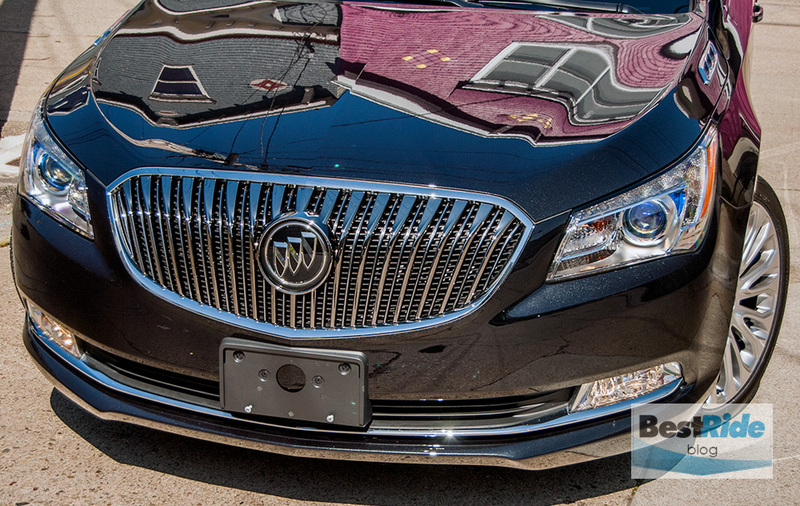 As you’d expect from a big Buick sedan, the LaCrosse’s highway ride is its best aspect. Steering has decent on-center feel, and the creaminess dialed into the springs and shocks was only occasionally disturbed by the activity of the 20-inch wheels and tires. Seats are very comfortable while still offering notable side support. The tester had the Safety Alert Seat for the driver, which vibrated either side of the bottom cushion came to silently alert you to the warnings of lane departure and other safety concerns. It’s part of the Driver Confidence Package II, and it’s actually a huge relief when compared to other cars that rely on audio warnings. 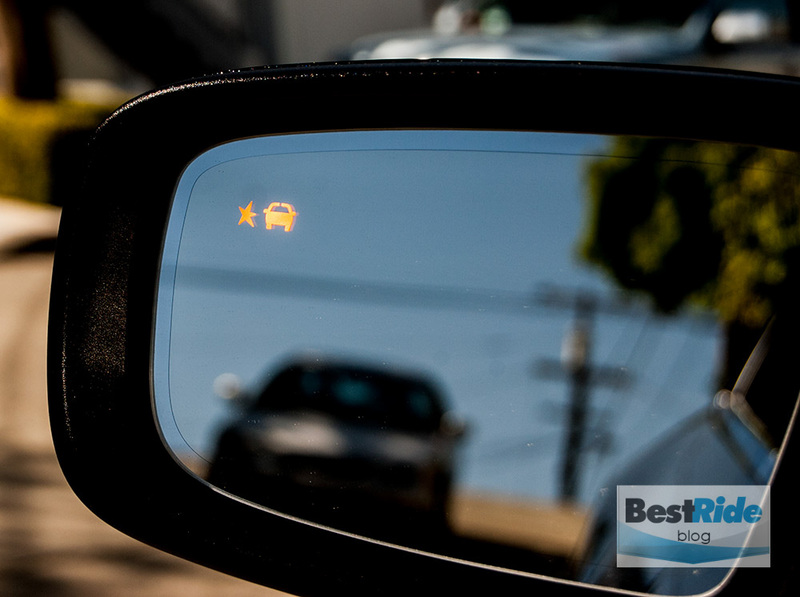 For instance, when backing out of our garage to the busy city street, some test cars respond with a torrent of beeps to identify the surrounding dangers, and that aural panic can be an annoying way to start your drive. 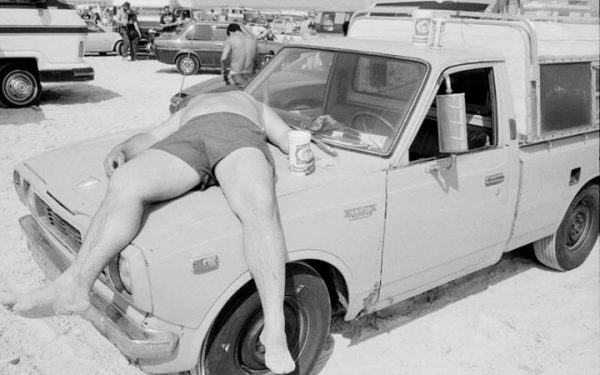 The Buick with the vibrating seat had a much calmer way to transmitting its alerts. 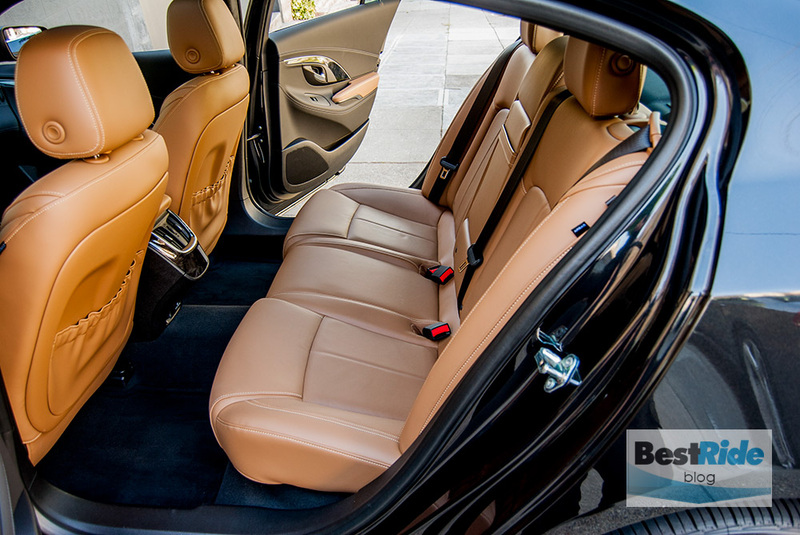 The rear seat is commodious, with a commanding 40.7 inches of legroom. 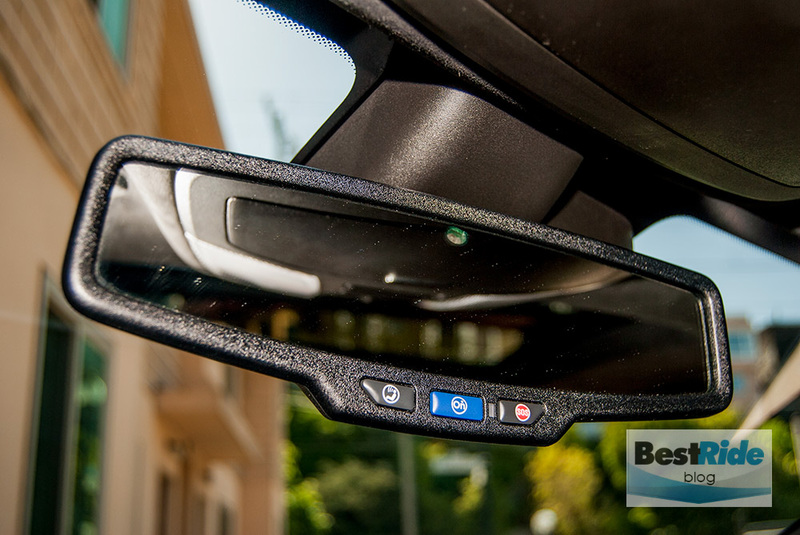 …and the densely-grained rear view mirror surround seemed cheap. 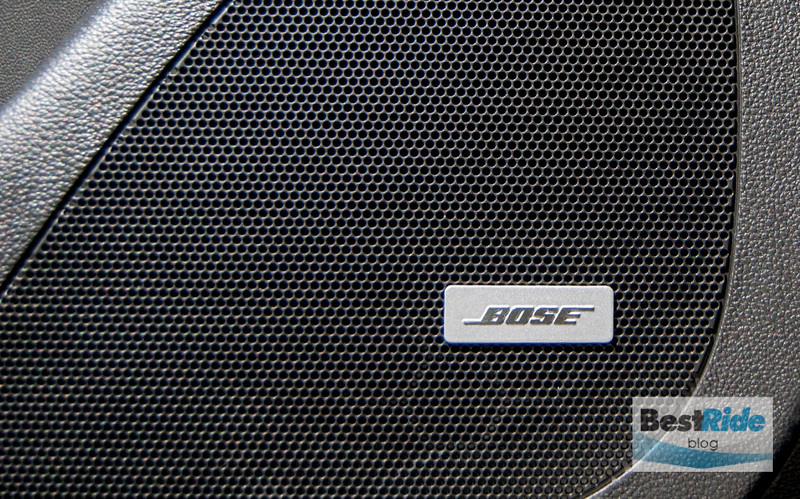 …and the standard Bose stereo had rich sound. LaCrosse sales were up 5.5 percent for its 2014 redesign, and currently it’s going gangbusters, with GM claiming a near 25% jump in March 2015 over the previous March. It’s not hard to see why; as of this writing, base LaCrosses were advertised at just under $30K on the Buick site, and even without the $16K of fluff the test car had, that represents a lot of sedan for the money. So it appears that this smooth Buick is holding its own against the Toyota Avalon, Chrysler 300, Lexus ES and Kia Cadenza, among others. 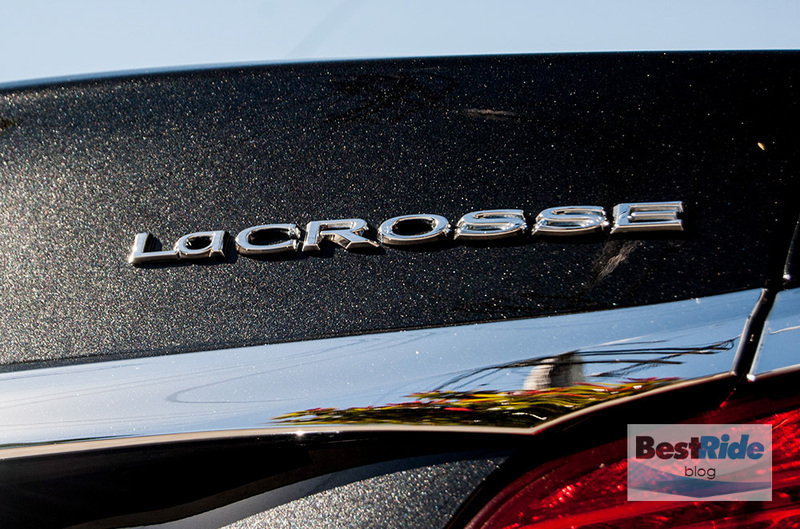 Like the others, the LaCrosse is worth a drive to see if you prefer its own distinct set of features and responses. Tell us in the comments – would YOU choose the LaCrosse from the field of large luxury sedans?